Providing for our clients’ families goes far beyond managing divorce, adoption, and child custody concerns. Drafting prenuptial agreements and other family law documents helps provide for an understanding between individuals and families. Divorce is an area of practice in which we demonstrate special care. We are available to handle personal crises when the need arises, and objectively cut through an emotional argument to insure an equitable distribution of marital assets under the law. We strive to be sensitive to our clients’ needs and emotions, while aggressively representing their interests. Keeping in mind the best interests of the children involved, we work toward a custody arrangement that best suits our clients’ expectations. If that is not possible, we have the skills necessary to be successful in a custody trial. Adoption is often a viable way to bring stability to a current family, or a way to add to a family. Our goal is to be sure the needs and goals of the parties are met. Guardianship may be obtained over the person, their estate, or both. They may be utilized for the youngest, to the most senior clients. A guardianship over the Estate is a money-management tool, allowing for financial planning and protection of assets by the Guardian. A Guardianship over the person, makes the Guardian responsible for all decision making for the protected person. All Guardianships are Court-supervised. If you are being investigated, questioned, or arrested by the police, remember that your criminal defense attorney is the only person that you should trust. Law enforcement investigators are specifically trained to get people, who don’t want to talk to them, to open up and talk with them anyway. The U.S. Supreme Court allows police, federal agents and criminal investigators to trick, lie and deceive suspects during the course of their investigations to get the information they want. If you are being questioned by the police, regarding a criminal charge in Indiana, do not answer any questions from the officers, or detectives. They are questioning you for one of two reasons, to solidify their case, or to build one. They are not questioning you to allow you to explain away the matter. Remember they are allowed to trick, lie and deceive suspects during the course of their investigations, and they are trained to get you to talk. You should politely, but firmly, tell them that you will need to retain an attorney before you can speak with them. They must immediately stop questioning you. You have the right to remain silent and the right to a criminal defense attorney – use those rights! Similarly, if an officer, or detective asks for your consent to search your car, or home in Indiana, refuse. Regardless of what the officers, or detectives say, do not let them search without a warrant. Make them get one! PersonaI Injury work utilizes the skills we cherish. Assessing the credibility and sincerity of those who call upon us, and persuasive communication. No matter how good the case, we won’t take it if we don’t believe in the client. Ultimately, we stake our reputation upon our clients with insurance adjustors, and sometimes a jury. Our reputation is the core of who we are, and nothing will entice us to sacrifice it. To our friends who are attorneys, We hope you will follow our lead. To those that aren’t, we hope this will cause you to scoff at the 1-800-INJURED marketing messages out there & share the message to demand better from this profession. Financial crises attack many. Sometimes our clients have the crisis themselves and sometimes the client is affected by the crisis of another. In either case, we attempt to ease the effect professionally and reasonably. 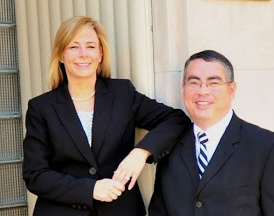 You need an experienced bankruptcy law attorney to help you through any financial crisis. General Practice encompasses a wide area of law. We have listed some examples in the navigation bar to the right. However, if you don’t see your need listed, feel free to give us a call. If we can’t help you, we will refer you to someone we trust who can. This area can range from a quiet title action to a construction dispute to insurance litigation. We work diligently to provide full representation when litigation becomes necessary or is forced upon a client. Effective dispute resolution may be the most significant positive attempt for peaceable settlement of differences since the creation of our judicial system. We are trained in mediation, and can work with our clients to reasonably and efficiently mediate disputes. Another possibility for present management of wealth and future conservation is the use of trusts. It may help the client save substantial amounts of money. These documents may be made in conjunction with the drafting and preparation of wills, durable powers of attorney, health-care powers of attorney, and living will declarations. Again, this is where we “make money” for our clients. All of our drafting and preparation of wills, trusts, durable powers of attorney, health-care powers of attorney, and living will declarations is tailor-made. We find every client’s situation a challenge for giving the most at death with the least expense and tax impact. The earlier a client starts personal estate planning, the more tax savings the client will realize. Yet, it is never too late to start. We assist in drafting and preparation of wills, trusts, durable powers of attorney, health-care powers of attorney, and living will declarations. This is where we “make money” for our clients. Estate administration starts with opening the estate, ascertaining values and gathering assets to file an inventory, through final tax clearances and closing. Final tax returns, state and federal, are promptly completed and filed. Most important, we establish regular contact with beneficiaries so they will know how the administration is proceeding. We work toward a prompt closing of the estate to get the most assets to the beneficiaries at the earliest possible time. 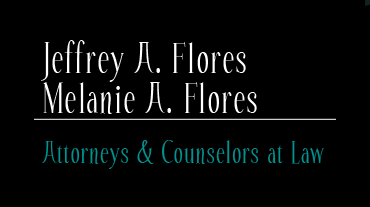 DISCLAIMER: The Flores Law Office is a debt relief agency, helping people file for relief under the Bankruptcy Code. This website was developed to provide general information. Information contained in this site is not, and is not intended to be, legal advice. A response to this website or a response by anyone at Flores Law Office to an e-mail generated by this website does not, in and of itself, create an attorney-client relationship.